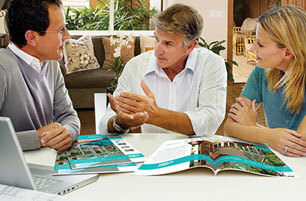 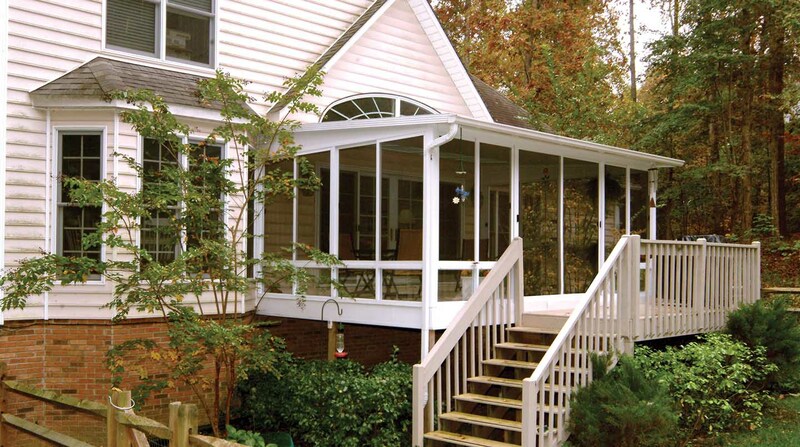 ​Considering a sunroom addition and need inspiration for your unique design? 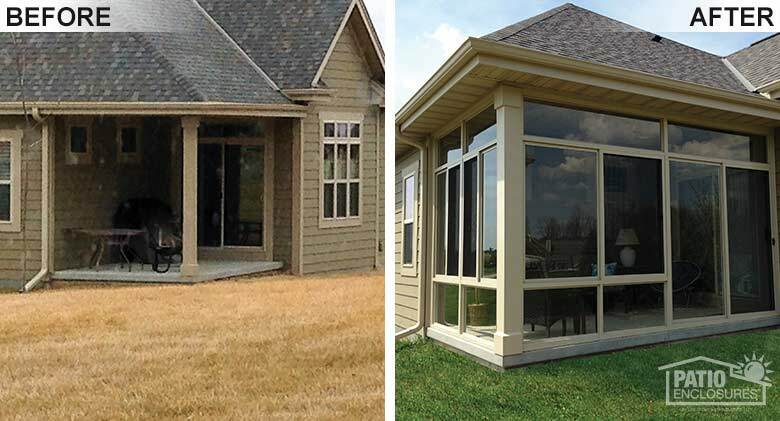 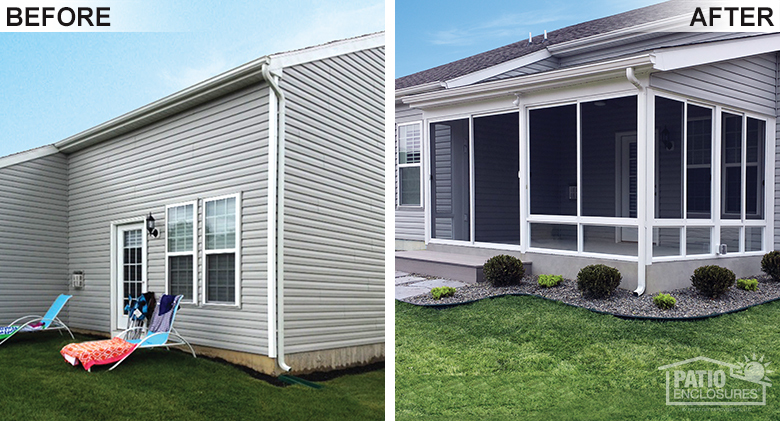 Check out our before and after sunroom photos and envision what a sunroom addition would look like on your home. 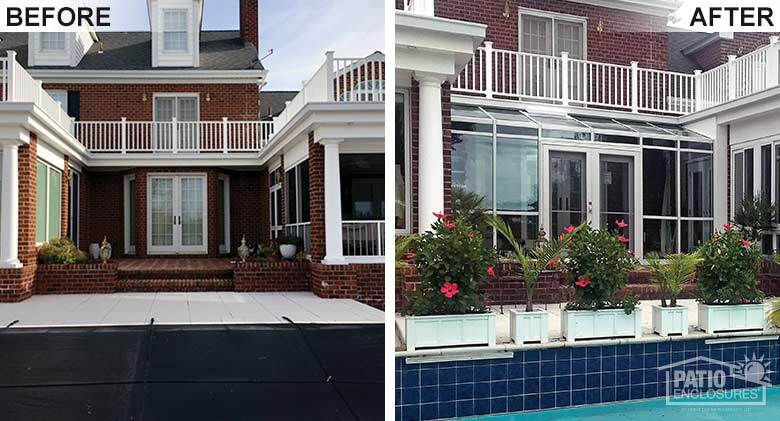 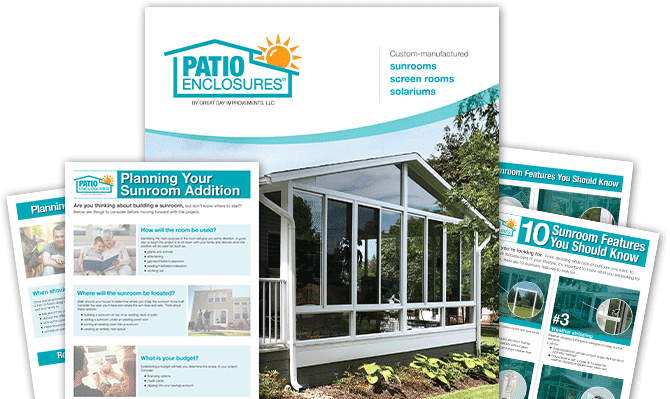 Enhance the value of your home by adding a custom designed sunroom, patio room or screen room with many custom options to choose from. 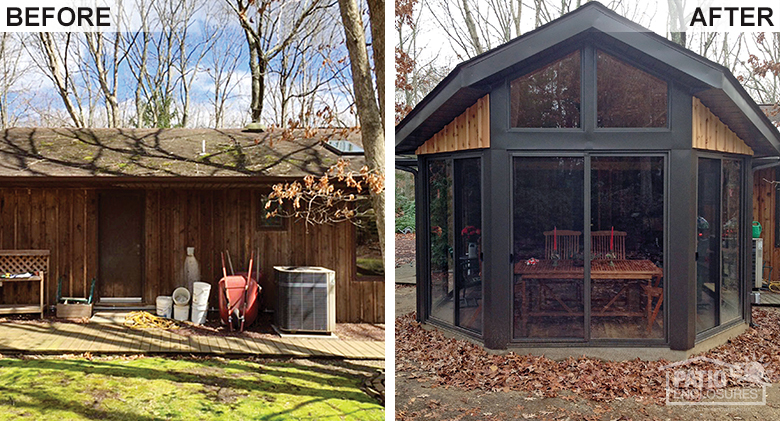 Screen Room Custom screen room with traditional wood roof. 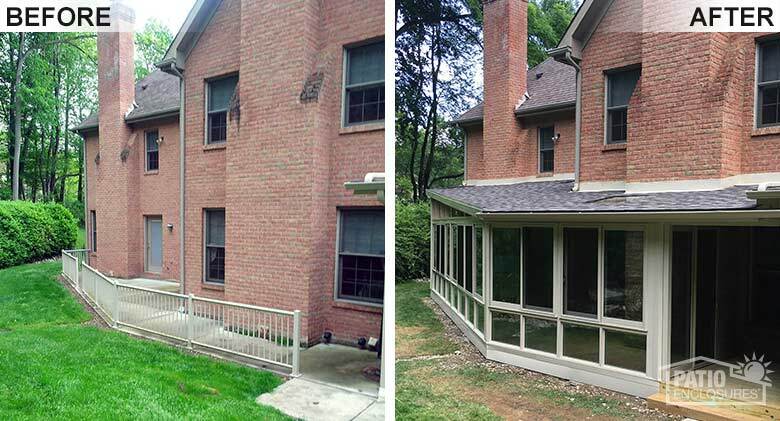 Screen Room A covered patio was enclosed with screens to provide protection from wind and insects. 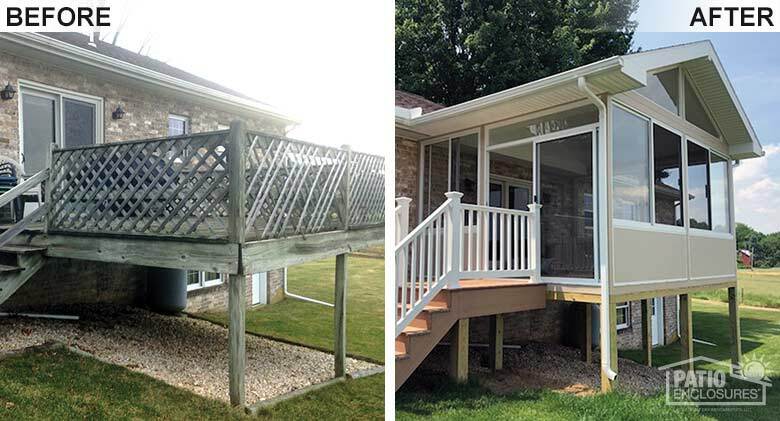 Three Season RoomAn open deck was transformed into this upgraded three-season room in sandstone. 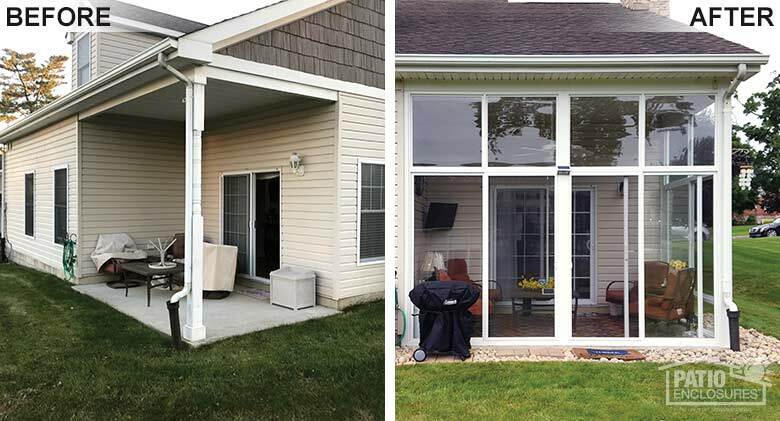 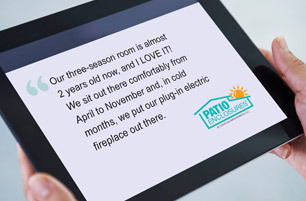 Three Season RoomAn open patio was enclosed to expand the homeowner’s living space most of the year. 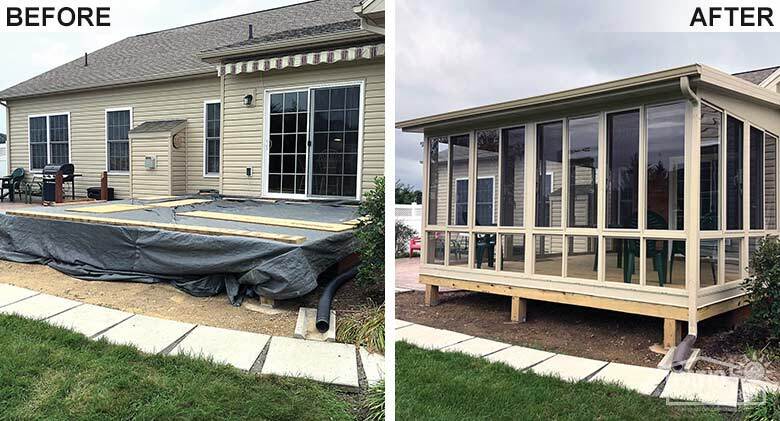 Three Season RoomA three-season sunroom with insulated glass replaced an open deck and provides expanded living space for dining and entertaining. 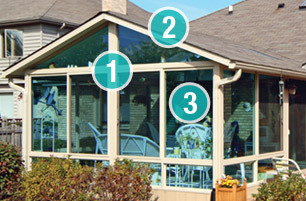 Four Season Vinyl RoomA year-round, all-season sunroom in sandstone completes this indoor/outdoor entertaining space. 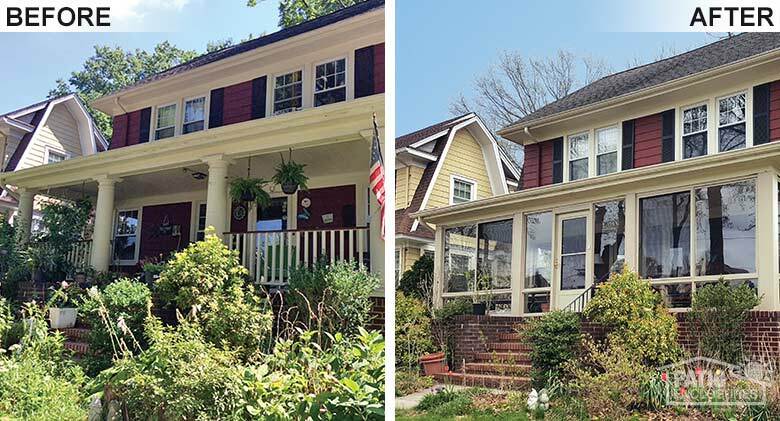 Three Season RoomAn open front porch has become expanded living space for this New Jersey family. 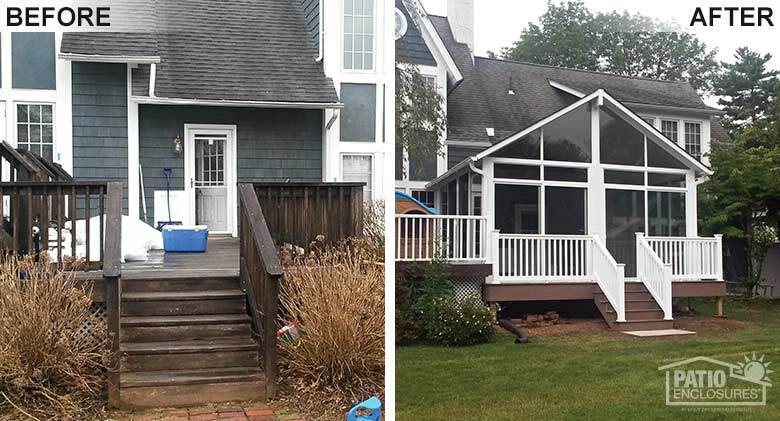 Three Season RoomAn open deck was replaced with a lovely three-season room, providing panoramic views without the noise and dirt. 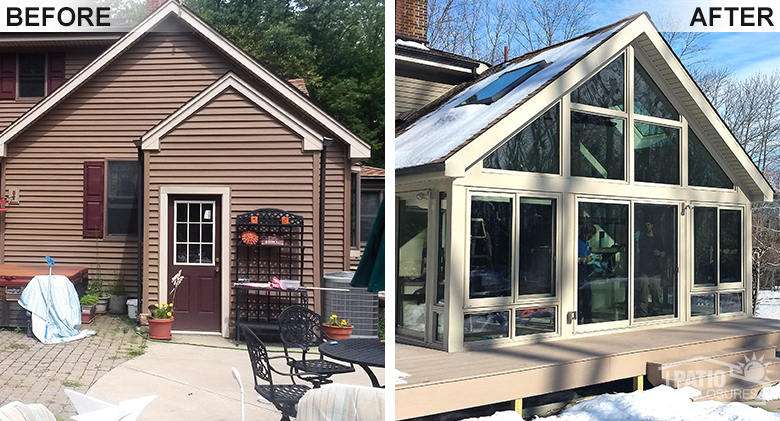 Three Season RoomA covered patio, open to the elements has been enclosed to expand the family’s living space most of the year. 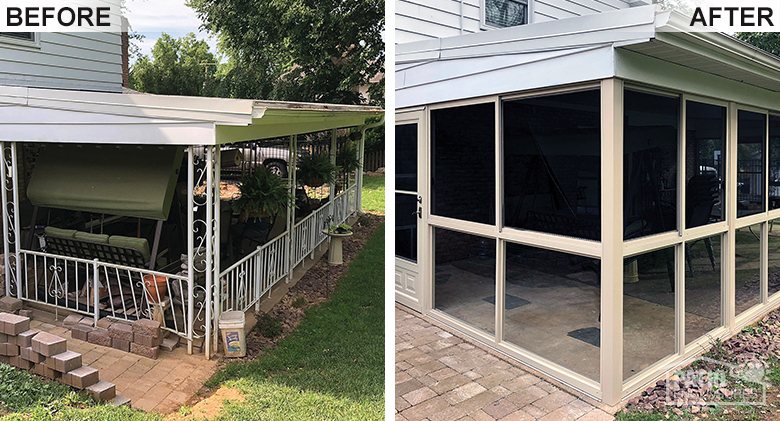 Three Season RoomA three-season bronze sunroom with an unusual shape replaced an open patio that was unused due to mosquitos. 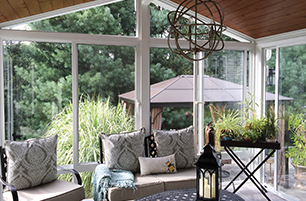 Three Season RoomAn open patio has been converted into this unusual four-season sunroom for year-round enjoyment.